Scranton, IA - The friends and family of Scranton Manufacturing and New Way® employees got a behind the scenes look at company operations on Saturday, November 9th, as the date was deemed "Family and Friends Day." 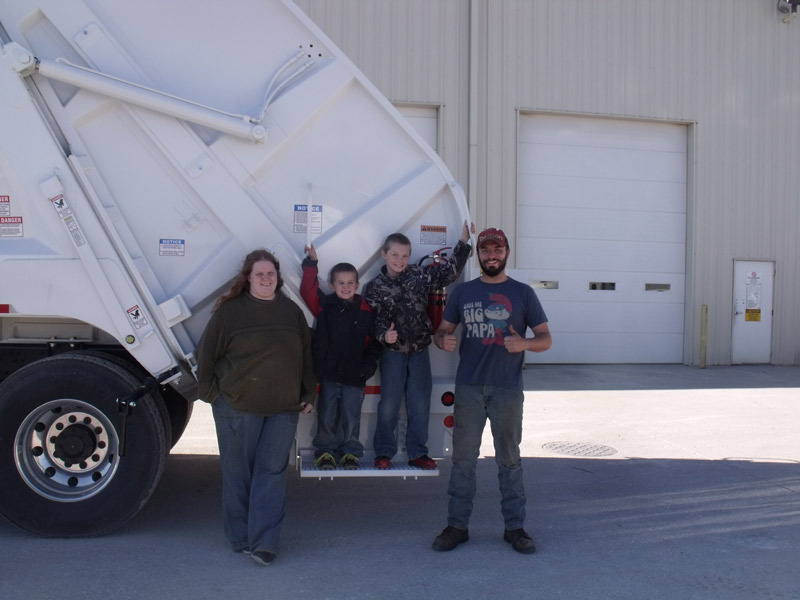 Employees of both the Carroll and Scranton facilities extended an invitation to their family and friends to give them a first hand look at what the companies do and the role they play on a day to day basis. 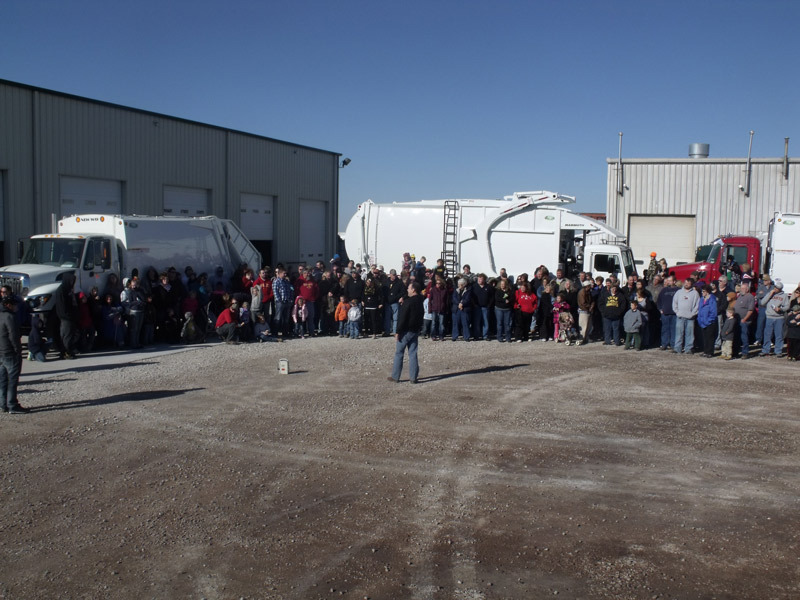 What started as a simple idea from Bruce Chaffee, Quality Control Inspection Manager, drew a crowd of close to 300 people viewing trucks, observing equipment demonstrations and having lunch. 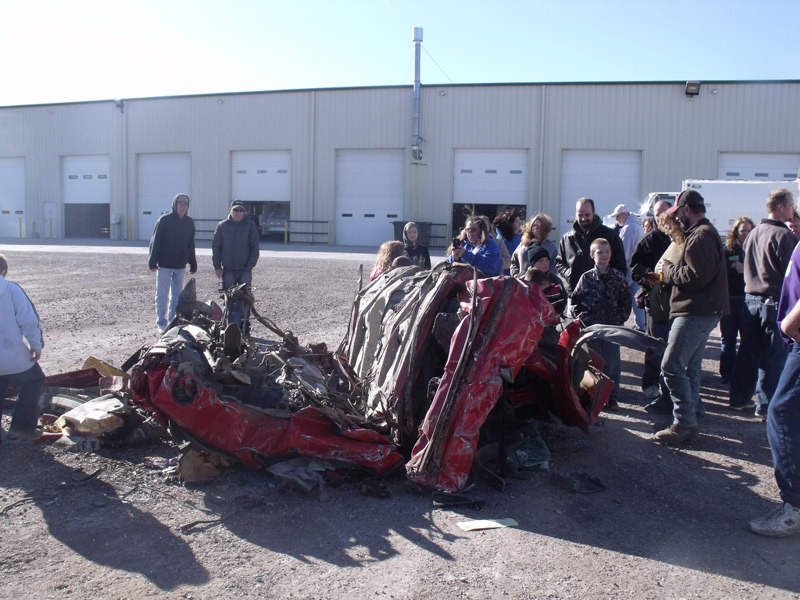 The highlight of the day was New Way®'s King Cobra rear loader crushing a car to the amazement of all. Fabrication Supervisor Dave Trecker said, "The kids came not knowing what to expect and left with a greater understanding of what their parents do and how they contribute to the success of Scranton Manufacturing."